This exhibit takes you along the route followed by James Monroe and his family as they toured the southern United States during his presidential term. You'll learn about his journey on the old Federal Road through the Cherokee Nation, where he spent the night in Vann's brick mansion. "...As long as water flows, or grass grows upon the earth, or the sun rises to show your pathway, or you kindle your camp fires, so long shall you be protected from your present habitations” said James Monroe in 1817. Monroe's presidency was significant for the Cherokee. During this exhibition you will learn about his involvement in the Trail of Tears. This exhibit was created at the University of Mary Washington in Fredricksberg, VA. We would like to thank the Friends of the Vann House for hosting the exhibit, and for all their volunteer efforts to support our historic site. 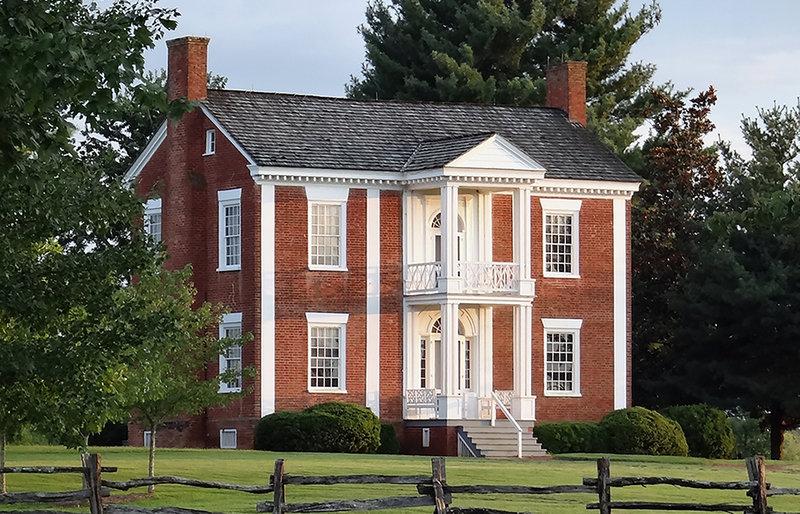 Chief Vann’s historic plantation house, and grounds, serve as a physical connection to present day visitors of the early nineteenth century Cherokee cultural assimilation efforts planned to counter Georgia’s early expansion which ultimately led to the Cherokee Trail of Tears. During the 1790s, James Vann became a Cherokee Indian leader and wealthy businessman. He established the largest and most prosperous plantation in the Cherokee Nation, covering 1,000 acres of what is now Murray County. In 1804 he completed construction of a beautiful 2 ½ story brick home that was the most elegant in the Cherokee Nation. After Vann was murdered in 1809, his son Joseph inherited the mansion and plantation. Joseph was also a Cherokee leader and became even more wealthy than his father. Thursday-Saturday: 9 a.m. – 5 p.m.
Sundays: 1 p.m. – 5 p.m.
Vann House can only be viewed through guided tours, offered at the top of every hour. Last daily tour begins at 4 p.m.
Closed Thanksgiving, Christmas & New Year's Day. Group rates available with advance notice.